With incredible volumes of material on the move – think: arms and munitions, supplies, vehicles – the military quite simply needs a better way to track its stuff. At the heart of transit tracking today is radio-frequency identification (RFID), which allows logisticians to tag and track goods on the move. But RFID has its limitations: It’s infrastructure intensive and not globally available. Military planners are looking to do better. RFID technology took a big step forward about 20 years ago with the widespread adoption of “active RFID.” Rather than scan individual items by hand, active RFID uses a fixed scanner to monitor entire lots. You’ll see this equipment at airports and at the gates of military installations. But active RFID isn’t an ideal solution. “It consists of a dome-shaped reader on a pole, connected to power and ethernet. So you are running power lines and communication lines, and if the reader goes down someone has to go out and physically service it,” said Rosemary Johnston, senior vice president of government at solutions provider Savi. The company is sole provider for the DoD’s RFID-IV contract, which has a $102 million ceiling. “Each reader costs a couple of thousand dollars, plus the cost of hooking it up, running wires via trenches. It becomes a major construction investment project,” said Johnston, a former chief master sergeant with the U.S. Air Force. In addition, active RFID equipment isn’t necessarily well-suited to today’s highly agile expeditionary fighting stile. “The military doesn’t know where the next fight is going to be, so they use portable deployment kits rather than do this massive construction, but even those are heavy ― the lightest weighs 25 pounds ― and they require good satellite coverage. It becomes very resource constrained,” she said. 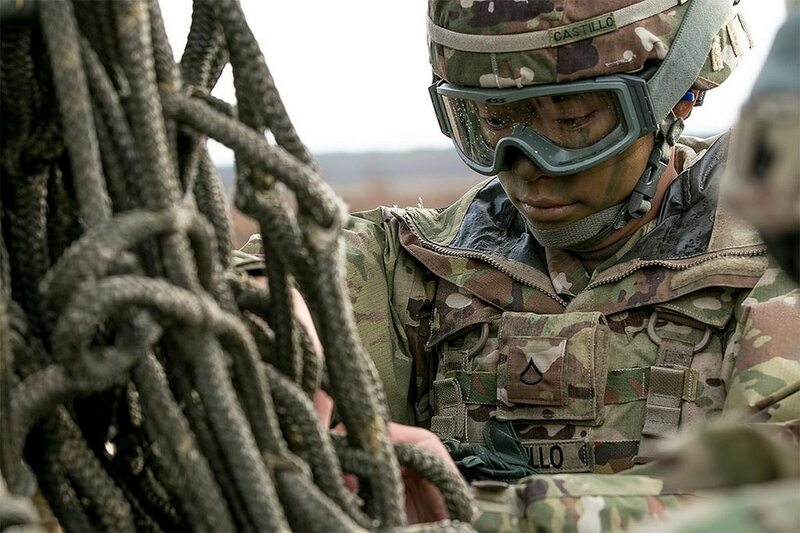 With the next-gen RFID contract, the military envisions a better way of doing business. Satellite-readable RFID tags offer some relief, as they expand the military’s reach without requiring extensive additional overhead. But satellite time is costly. Savi’s emerging solution would leverage widely available cellular signals as a new means to capture and communicate RFID information. Johnston describes early trials of cellular RFID in Africa, where materials tracking has been a perennial problem. U.S. and European forces have just six fixed RFID readers on the entire continent, making supplemental coverage an urgent need, she said. “We have used cellular technology in Africa with a commercial company very successfully for the past three or four years. The networks we would use on the military side would be very similar to what this comer customer uses, so we believe that represents a great opportunity for Africa Command,” she said. The switch to cellular isn’t technically complicated: military planners would need to add a cellular module to the existing RFID tag. That module could then be programmed to automatically report location status to the military’s in-transit visibility server. High-value cargo might report hourly, whereas more mundane supplies could be set to check in daily or every couple of days, in order to conserve battery life in the RFID tag.